All Hosts ReviewsWebsite BlogsWhat is cPanel? The cPanel is an indispensable tool that helps you manage every aspect of your website by directly controlling server settings. Every web hosting client gets a cPanel by the hosting company through which the website owner or administrator manages domains, email, and taking backups. The cPanel is particularly useful for VPS hosting and dedicated hosting clients than for shared hosting clients because these clients have greater access to the server and the autonomy to manage settings according to their needs. 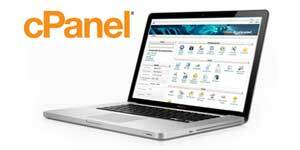 cPanel has been developed by the cPanel company based in Houston. John Koston, one of the owners of Speed Hosting, developed the cPanel for proprietary use but then offered it to the open market after that company ceased to exist. Initially, there were two versions of the cPanel called cPanel and WebPanel. Only cPanel has managed to survive and evolve to the present. Other than the cPanel, cPanel Inc. also offers two other flagship products—the WHM and Cloud Linux. The WHM software helps administrators to automate server management functions and customize the cPanel to reflect the corporate brand image. WHM comes with more than 500 add-on applications that help administrators to enhance the convenience and functionality of their websites for users. It also offers real-time information about server performance and resource utilization along with seamless data transfer and backup. Cloud Linux is the operating system offered by cPanel Inc. that allows administrators to gain optimum server performance and security. Cloud Linux offers the opportunity to integrate enterprise systems and manage uptime more efficiently. It also comes with advanced security features and a modified kernel that raises effective barriers against malicious server attacks. Compared to other free operating systems, Cloud Linux is more easy to use and also offers greater security. To access the cPanel provided by the hosting company, the web administrator can use port 2083 to open the cPanel. Alternatively, the administrator can simply enter the extension /panel after the name of the hosting company in the address bar of the browser. Many web hosting companies also offer an Auto installer feature that downloads and installs the cPanel directly to the administrator’s computer. A cPanel comes with a graphical interface which makes it extremely convenient for the web administrator to select the particular feature of the server that has to be managed. While the exact layout of the cPanel differs from one hosting company to another, the general layout plan consists of server and data management tools organized in separate categories such as email management, file management, and so on. A panel on the right side of the cPanel displays statistics and other useful information. Basically, anybody who has used the Control Panel should have no difficulty in locating the required tools and navigating around the cPanel. A cPanel offers great utility and control in managing different aspects of the website. Some of the popular features of the cPanel include email management, security management, file and domain management, and server management. The cPanel allows the website administrator to create and manage several email accounts, implement settings for email, apply spam protection settings and create email filters. Website administrators can also use the cPanel to put up security settings for the server or their allocate portion of a virtual server. The cPanel offers features to restrict access and block viruses and other forms of malicious attacks. In addition, the cPanel enables the owner or administrator to manage multiple domains and CMS platforms. Some of the file management features offered by a cPanel include a file backup tool, a legacy file manager, web disk, and disk space usage manager. Along with these features, a cPanel also offers domain and server management features. Using these features, a website administrator can create multiple domains and sub-domains for their account and can even park domains according to the hosting plan they have subscribed to. The server management feature is not available to shared hosting subscribers since only VPS and dedicated hosting clients have the rights to manage server settings. The server management tools and scripts of the cPanel enable the administrator to investigate, diagnose and correct any issues with the server without having to seek help from the hosting company. One of the best things about a cPanel is that it allows the administrator to execute regular management tasks like email management without any hassle. The tools of the cPanel are intuitive and interactive and even the least technically trained client can learn to use them in no time. Some of the email management tasks that can be carried out efficiently through the cPanel are creating forwards, setting autoresponders, and mailing lists. All of this saves the time it would take even a small-scale online business to acknowledge inquiries from customers and send promotional emails. In addition, the email management features also include setting up email filters and generating email reports to assess the email utilization of the hosting plan. Managing FTP sessions can be problematic especially if a client has a large number of users logged into the website and accessing server resources. 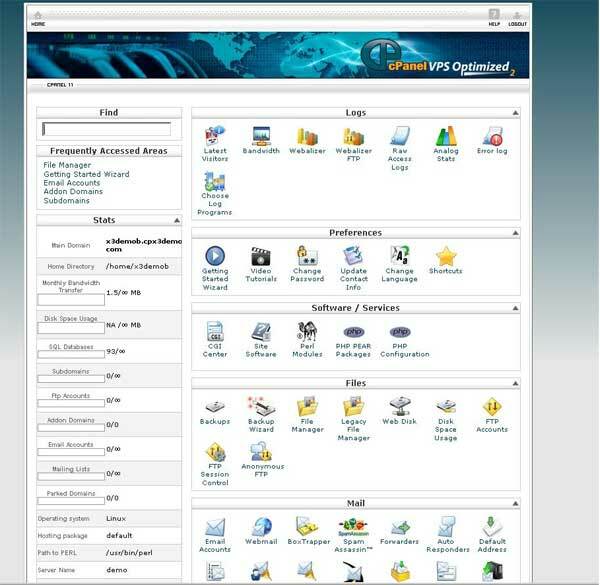 The FTP session management tools of the cPanel make it easier for the website administrator to view how many and which users are logged into the system and are using server capacity. The users can be identified by the IP address data. The administrator can also keep track of things such as login time and can even disconnect a specific user from the system. The cPanel helps the web administrator to manage the resources of the server and system effectively. The main server resources are bandwidth capacity and disk space. The cPanel comes with a tool that the web administrator uses to view how data is distributed within the allocated virtual server space. With this tool, the web administrator finds out which applications are consuming most of the disk space and bandwidth capacity. The administrator is then in a better position to allocate disk storage to different applications for efficient management. The pricing for installing a cPanel varies according to the type of hosting server. For a VPS hosting server, the monthly cost starts from $20 while an annual plan can cost $200. Prices are higher for dedicated server hosting and start at $45 a month and $425 a year to $1075 for a three-year plan.